The Sega 32x is one of the most unusual consoles to have ever been on the market. First of all the system wasn’t sole supportive like any other consoles, and required the Sega Genesis (Maga-Drive) to operate. As strange as it may sound though for the time it wasn’t out of the norm for many systems of that era. The Genesis, Atari Jaguar, TG-16, and later on the Nintendo 64 (but only Japan) all had CD-Rom add-ons that required the base console to function. 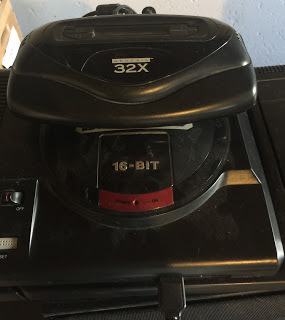 The odd part about the 32x, unlike those other add-ons, was that it was a cartridge based system and not a CD-Rom, making it all the more unusual. 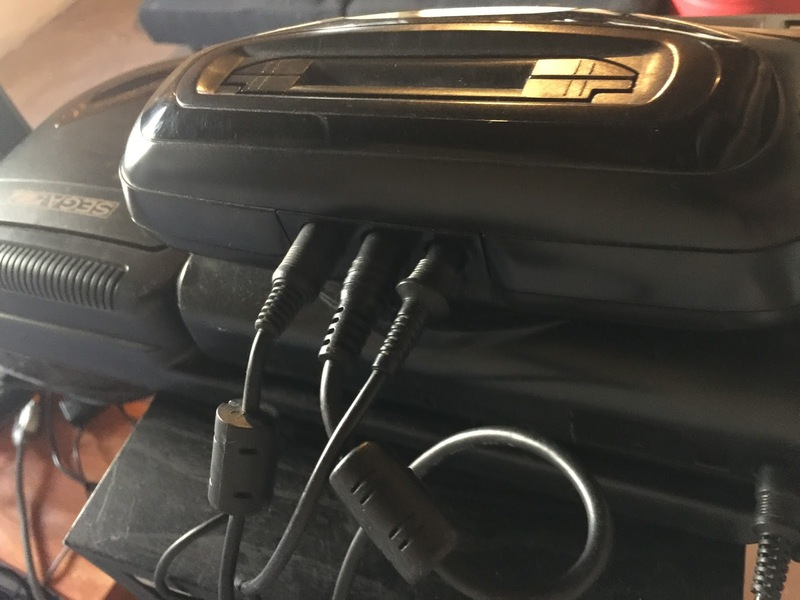 Hooking up the Sega 32x up to the Genesis via it’s cartridge slot is the easy part. 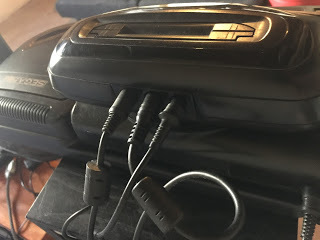 After that its also an S-video to S-video connection between the 32x and the Genesis. It also needs it’s own power too, separate from that of the Genesis, and must be directly connected (via it’s own RF switch) to the TV. It’s a quick and easy installation project, if you have open access to the back of your TV and Genesis, otherwise it’s a bit of a pain and the equal of hooking up a free standing console. To start game-play all one needs to do is turn on the Genesis and everything goes from there, if you hooked it up the right way. 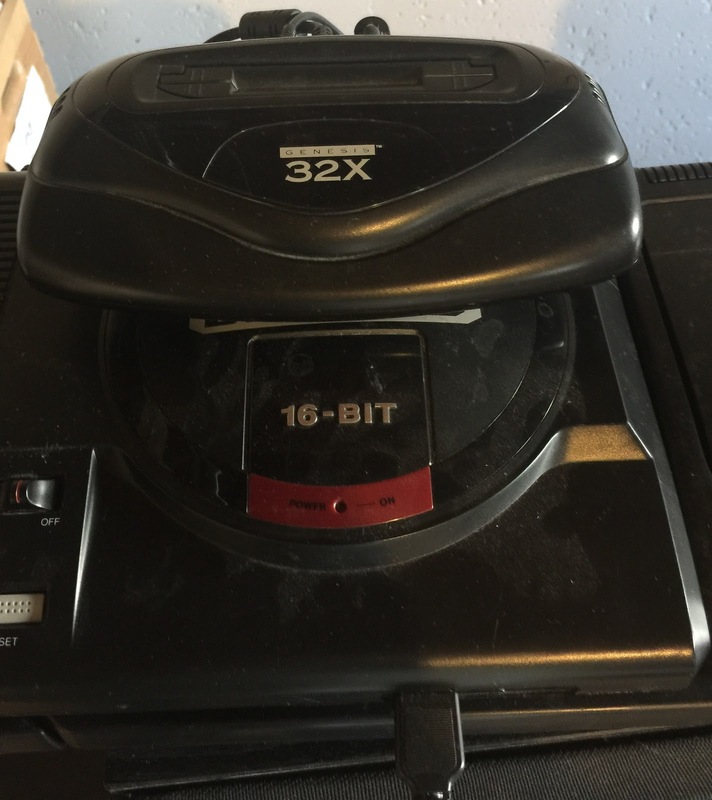 As far as playing the 32x it’s as easy as playing the Genesis, as matter of fact you use the same controllers and controller ports the Genesis and Sega-CD use. 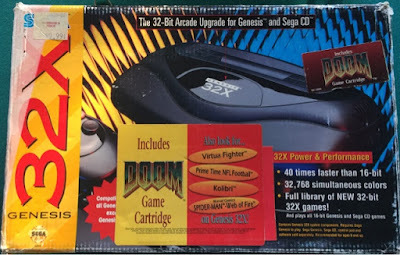 So what was the point of the 32x? Well, much like the Sega Game Gear I wrote about the week before last, the 32x was once again meant to be a way of Sega one-upping it’s competition, while also attempting to get a new system out the the door first. Whether most gamers choose to believe it or not, Sega considered one of it’s biggest threats to be the Atari Jaguar. Often times when we think of the “console wars” we think of Sega vs Nintendo, and that was accurate for the 16-bit era, but moving into the 32 and 64-bit eras we more realistically see Atari vs Sega. In my article about the Sega Saturn some months back I detailed how the Sega Saturn was developed with concerns about beating the Jaguar, and with very little attention paid to Nintendo. The 32x was designed with the same general mindset, and Sega wanted something that was very next generation and could compete with the Jaguar. So they rushed to get the 32x out the door, even if it was a year later than the release of the Jaguar. The only problem was that well the 32x was being developedm so to was the Sega Saturn. The Saturn was meant to be Sega’s next full console, and also a way of competing with the Atari Jaguar and its new CD-Rom add-on. This is where the controversy surrounding the 32x and Saturn began, and as well as the slow demise of Sega as a console maker. Sega, to push the 32x as “the next big thing”, marketed it pretty heavily towards the end of 1994, and that it ended up overshadowing the Sega Saturn’s release in early 1995. The Saturn was so poorly marketed that many retailers were shocked to find Sega’s newest systems on their loading docks in May of 1995, since very little was done to spread word about the new systems release. This lapse in marketing lead to the Saturn having one of the worst launch dates in video game console history, and some of the worst sales of all time. When Sega executives were asked why the Saturn’s marketing was so poorly done, or why the 32x had to be released at all with the Saturn on the way, they responded with a somewhat more modern, and unexpected answer. Sega, apparently wanted to market the different systems at different price points and thus expand the purchasing audience. The logic was that the 32x would be aimed at those who didn’t have the ability to buy a new console like the Saturn, and the 32x would allow them to play more modern games while reusing their Genesis hardware. The Saturn would be aimed at those who could afford to buy a whole new console, and would compete with current systems, as well as future ones. In many ways it’s reminiscent of the current XBox marketing strategy of selling the original XBox One at a lower price, and selling its new 4k XBox One S at another, which has worked well for Microsoft in the past few months. No matter how modern or unique Sega’s sales strategy may have been, the fact of the matter was that it ended up failing and the Saturn ended up being one of the poorest selling systems ever in North America and elsewhere despite the fact that it’s actually a very well made system. To many the story of “price points” seems like an after the fact excuse to cover the debacle over the Saturn’s marketing. Having read a bit of Sega’s history, I hate to say that it’s easy to see the holes in the “price point” explanation, especially when Sega had a history of rushing items onto the market, simply to beat competition much like they did with the Game Gear. So what about the 32x itself? Essentially, what was suppose to separate the 32x from the Genesis is what was meant to be it’s so called superior 32-bit graphics. I know nowadays it’s easy to knock the 32x, PS1 or other systems of that era for their janky and sometimes ridiculous graphics, but at the time it was cutting edge stuff and the vanguard of the 3D world to come. It was no longer going to be a matter of certain games with extra hardware inside producing 3D polygonal graphics, like Starfox during the era of 16-bit era, but rather moving into the world of 32-bit polygonal graphics being the standard. The Atari Jaguar, and 3DO, were also just a few of the many other systems who fell victim to this modern world of polygonal graphics which would turn from the cutting edge, to highly dated in only a few years. 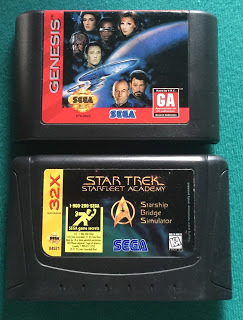 Much like the Atari Jaguar, and 3DO, the 32x is what I consider to have been a system that fell between generations or generation 4.5, a limbo somewhere between gen 4’s 16-bit masterpieces, and gen 5’s 32/64-bit nightmares. These were systems that started a new era, and pioneered what we saw in the N64, PS1, and Saturn, all while being considered unworthy systems by later gamers. As far as gameplay it’s just like any other system, there are some really good games, some really bad and also as an unusual par for this mid-generation there are some games that look awful but play magnificently. Of the latter one pick is Metalhead, and battlemech type game that doesn’t exactly look the prettiest but controls smoothly, and is fun to play. On the awful end there’s the arcade port of Virtua Racing, which has awful controls and looks bad. Lastly, on the good end are games like Doom, Shadow Squadron, and Star Wars Arcade, the port of Doom is extremely good, and plays well on the 32x. The carts themselves predominantly came in cardboard boxes that allowed for the carts to be slid out in special trays, and where iconically yellow. Each cart is roughly the same height, and depth as a Genesis cart, but is about an 1/8 of an inch wider, it’s not much bigger at all. This is another Sega system I can honestly say I like. Which is refreshing for some of you Sega fans out there to hear after my thrashing the Game Gear last week. On the flip-side though I can say that I’m not entirely happy about all the extra set up. The need for it’s own power, and own RF connection to the TV are things Sega engineers could have found a way around. The 32x could’ve gotten by with just the S-video linkup and there is even room for improvement there. 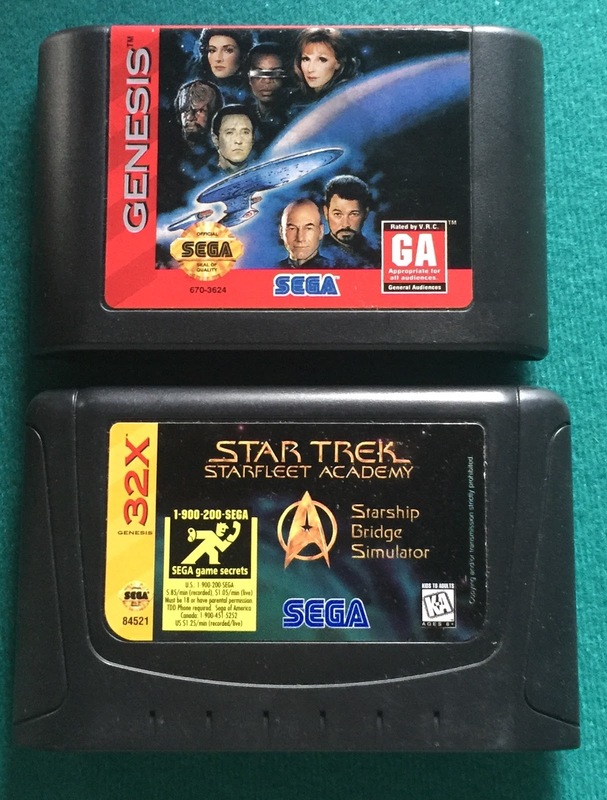 If you want a 32x, like a lot of other Sega stuff, it seems to be ever increasing in price. I got mine via a standard eBay auction for about $80 CIB, with the Doom pack-in. Currently on ebay they sell from anywhere between $30 loose without cables to about $220 CIB. The games themselves are also pretty easy to find on eBay, and range from about $5 loose to $1000 for some rare games CIB. If you’re anything like me you may feel like the 32x and Sega-CD aren’t integral items to have for a Sega collection. In time though I learned they help tell Sega’s story, and are both actually worth having to get a full picture of Sega and the gaming industries evolution. The 32x is a good, although unusual little system, and worth the add to any collection.